She started piano lessons at age 4, violin at 7 and has recently added flute, guitar, drums and vocals to her repertoire. She is basically a band all by herself. On rare and special occasions, Julia will be at front desk to greet you and check you in to see the doctor. During the week she is busy studying psychology at Queen’s University. Julia’s favourite eyewear lines are Mykita and Vinylize. When she isn’t producing music, Julia enjoys muay thai kickboxing and photography. 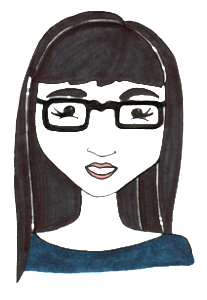 Her favourite places to shop local are Melville Cafe, Riedstra’s Violin Shop and Vincenzos.